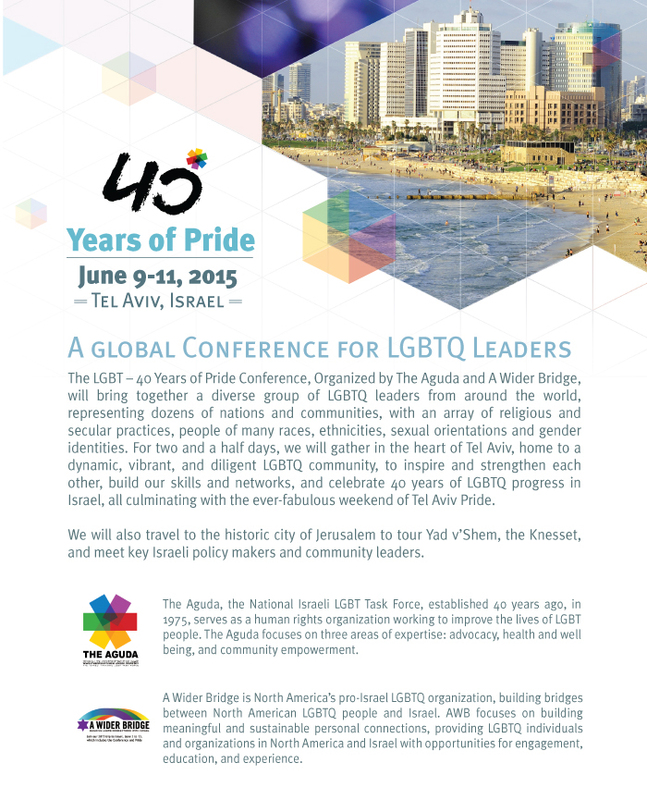 40 Years of Pride: A Global Conference for LGBTQ Leaders, June 9-11, 2015 in Tel Aviv, Israel Celebrating the 40th Anniversary of the founding of The Aguda, Israel’s LGBT Task Force. 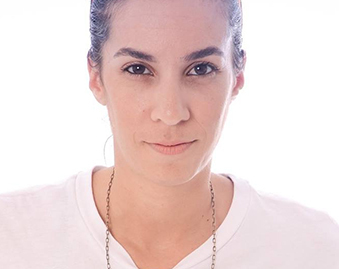 The LGBT – 40 Years of Pride Conference, Organized by The Aguda and A Wider Bridge, will bring together a diverse group of LGBTQ leaders from around the world, representing dozens of nations and communities, with an array of religious and secular practices, people of many races, ethnicities, sexual orientations and gender identities. For two and a half days, we will gather in the heart of Tel Aviv, home to a dynamic, vibrant, and diligent LGBTQ community, to inspire and strengthen each other, build our skills and networks, and celebrate 40 years of LGBTQ progress in Israel, all culminating with the ever-fabulous weekend of Tel Aviv Pride. We will also travel to the historic city of Jerusalem to tour Yad v’Shem, the Knesset, and meet key Israeli policy makers and community leaders. The Aguda, the National Israeli LGBT Task Force, established 40 years ago, in 1975, serves as a human rights organization working to improve the lives of LGBT people. The Aguda focuses on three areas of expertise: advocacy, health and well being, and community empowerment. 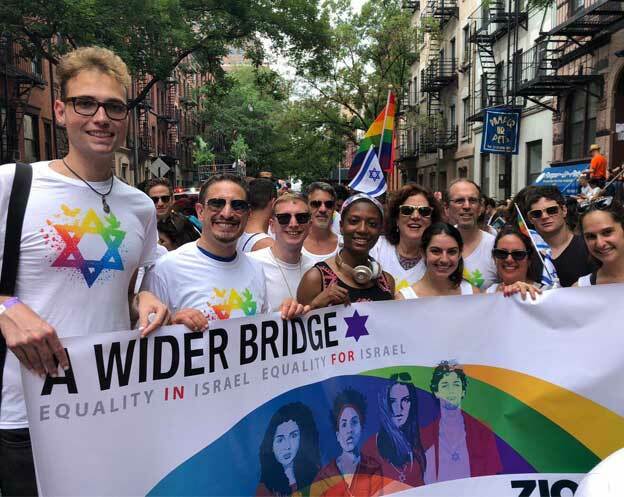 A Wider Bridge is North America’s pro-Israel LGBTQ organization, building bridges between North American LGBTQ people and Israel. AWB focuses on building meaningful and sustainable personal connections, providing LGBTQ individuals and organizations in North America and Israel with opportunities for engagement, education, and experience. Check out the event’s special website!